Integrating your home with the latest modern technology sounds like a design enterprise of the future, but not anymore. 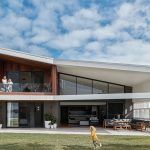 The multi-award-winning team at Electronic Living have forged an international reputation over the last decade for completing some of the most technologically advanced smart homes in Australia and abroad – and this featured project is nothing short of spectacular. Damian Cavanagh, Managing Director of Electronic Living, says budget is one of the major considerations for clients. However, it wasn’t a factor in this project. 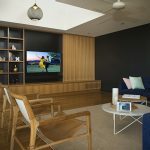 “We were able to provide a solution based on the clients needs rather than their budget.” The extensive system allows for the entire home’s functionality (think climate control, lights, media and much more) to be accessed on Apple iOS devices. It’s no surprise that homeowners Preston and Miranda love the end result. 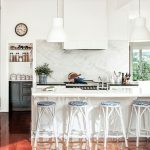 “It was very easy working with Electronic Living and the system is perfect, we got exactly what we were after,” they enthused. Check out the video interview for an insight into this international award-winning project by the team at Electronic Living. Keep an eye out for the automated diving platform located on the roof of the house. 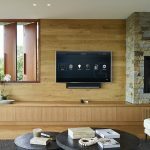 It’s innovation at its best and a great example of the endless possibilities of a connected home!